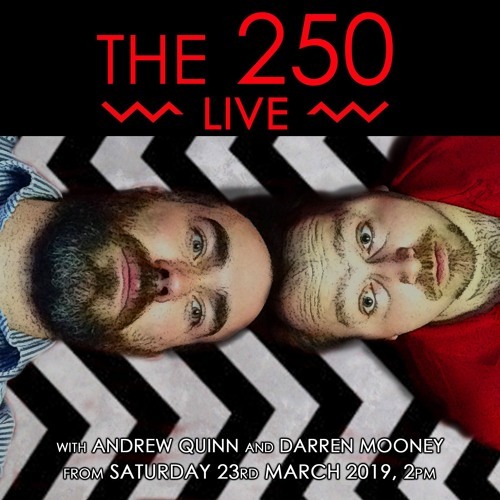 Hosted by Andrew Quinn and Darren Mooney, The 250 is a (mostly) weekly trip through some of the best (and worst) movies ever made, as voted for by Internet Movie Database Users. New episodes are released every Saturday at 6pm GMT, with the occasional bonus episode thrown in. This time, a special treat: David Lynch’s Twin Peaks: The Return. Twenty-five years after Special Agent Dale Cooper disappeared from the small town of Twin Peaks in Washington, a series of strange occurrances suggest that mysterious forces are still playing a dangerous game on the mortal plane. What connects a secret FBI task force, a sinister crime lord, an isolated rural community, a set of Las Vegas gangsters, a strange glass cube in New York, and a strange murder in South Dakota? It's happening again. At time of recording, it was ranked the ∞th best movie of all time on the Internet Movie Database.